Places the spotlight on new home security devices making it easier for residents to monitor their property from anywhere. Jeddah, Kingdom of Saudi Arabia – April 14, 2019: Ring, a company on a mission to reduce crime in neighbourhoods, is participating in Intersec Saudi Arabia 2019. The company is promoting its innovative home security products and services, giving customers and neighbours the opportunity to experience Ring products firsthand and to learn about the devices’ features and benefits. “Following Ring’s launch into the Middle East last year, we are excited to showcase our security products and solutions at Intersec,” said Mohammad Meraj Hoda, Vice President of Business Development-Middle East at Ring. 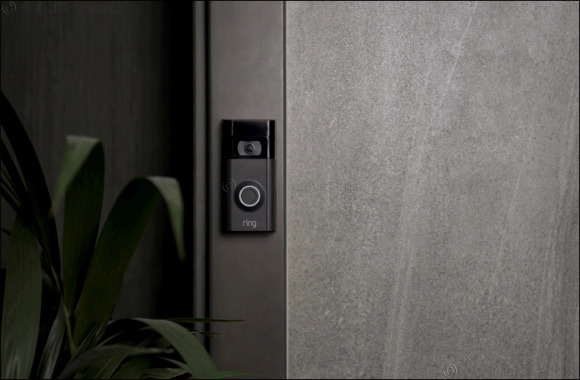 Ring is showcasing its latest suite of smart home security products, including the newly launched Ring Stick Up Cams, Ring’s first cameras meant for both indoor and outdoor use. With multiple power options, neighbours have maximum flexibility to position the cameras anywhere, regardless of power availability, to secure every corner of their property. In addition to Stick Up Cams, Ring is also showcasing products such as the Ring Video Doorbell 2, Ring Video Doorbell Pro, Ring Video Doorbell Elite, Ring Floodlight Cam, and Ring Spotlight Cams.